What led you from working as a successful journalist to deciding that you were going to start the Lumen Prize, a not-for-profit global art prize? Journalism changed completely during my career and not for the best. I was looking for a give-back project that I could do from my home in rural Wales. I’ve always loved art and once I started meeting emerging artists, I was hooked. Why new media? What specifically sparked your interest in the medium? I went to his 2012 Exhibition at the Royal Academy in London 3 times and was astounded by what he was creating with digital devices. It occurred to me that there had to be more artists doing this kind of work and it turned out that there was a whole world of art and artists that I’d never seen or heard of before. May 11th 2011 Woldgate 12:45pm, 18 digital videos synchronized by David Hockney. You’ve said that you started the Lumen Prize to “raise the enjoyment and visibility of new media art” and to “bring it into the contemporary art scene in a curatorial and global fashion.” Why do you think that is so critical? The contemporary art scene has a love/hate relationship with work created digitally. Curators are afraid it won’t work, museums worry that the equipment will become obsolete and galleries aren’t comfortable with art that can’t be framed, shipped and sold. At the Lumen Prize, we can take the profit element out of the equation and work from the other end, creating enjoyiment, awareness and – dare I say it – demand. That, in the end, will tip the balance and allow digital art to ‘hang’ alongside traditional artwork. What do you think will help establish the stature / acceptance of new media art in the context of the global art world? A safe way to store and share the work which protects the artists’ copyright is one way – and Niio is working on that. 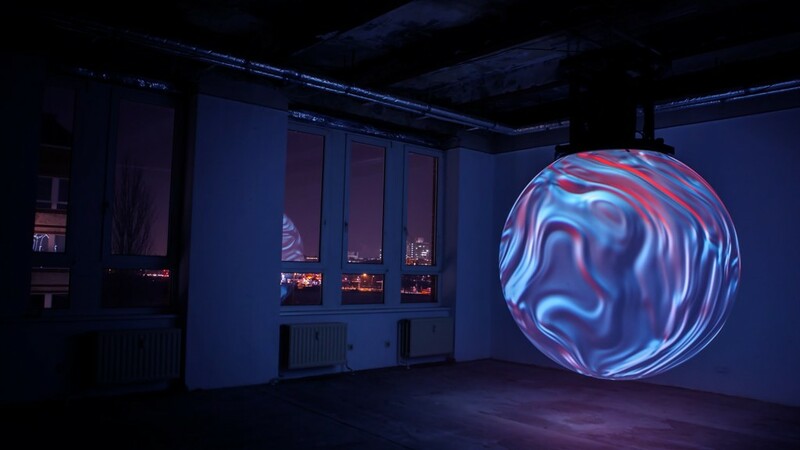 Lumen Prize 3D Sculpture Winner 2016: ANIMA by Nick Verstand and onformative. What do you think is most mis-understood about new media art and what would you like people to understand? Do you envision a time when new media art will be be considered mainstream? What do you think the biggest challenge is in collecting and exhibiting new media art? Developing a secondary market for digital art will be key. Until that happens, it will be hard to crystalize price points for installations or works involving AR and VR, for example. How do you think a company like NIIO will be able to contribute and support the growth of new media art? Niio provides something unique – which is an open platform that artists and companies like Lumen can use to protect their work. As it grows, it will help establish a higher degree of comfort among the established art community. What do you think about all the hype surrounding VR? Lumen’s winner this year is a VR work and it’s astounding. There is a lot of hype about any new tool or piece of kit – it will shake fairly quickly. At a recent show, a 10-year-old marched in and asked about the VR, put on the headset and spent 15 minutes exploring what is essentially a painting. Adults normally take off the headset after 2 minutes. 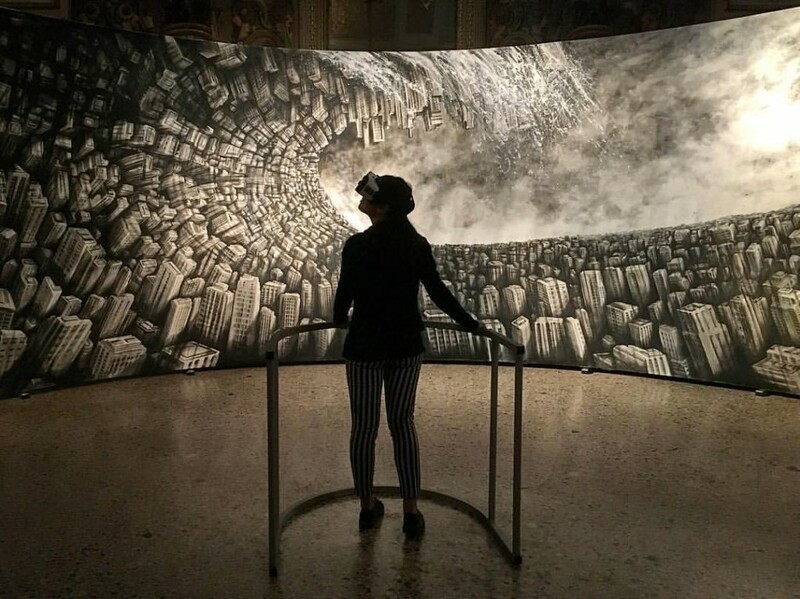 Lumen Prize VR Winner 2016: Hyperplanes of Simultaneity by Fabio Giampietro and Alessio De Vecchi. When did you first experience new media art? Was there a specific show / artist that you recall as having had a great impact on you? I’ve always loved Bill Viola’s work and Sam Taylor-Woods moving Still Life, 2001, is probably my favourite work. But it was Hockney that ignited my curiousity and since then, I’ve been lucky enough to meet some of the most exciting digital artists working today. Bliss! 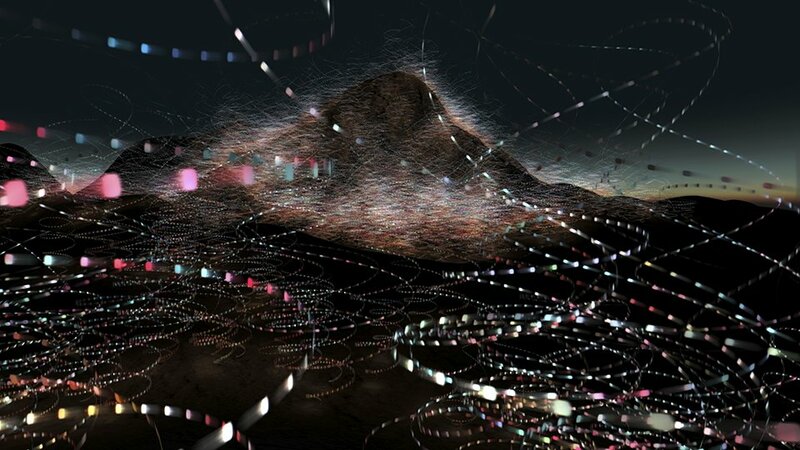 The Lumen Prize celebrates the very best art created digitally. As a not-for-profit social enterprise their goal is to focus the world’s attention on this exciting genre through an annual competition, a global tour and associated activities including workshops, seminars and special events. Lumen is dedicated to building a movement around digital art, providing a network and opportunities to its longlisted and shortlisted artists, as well as the winners. Since its first show in London’s Cork Street January 2013, Lumen has staged nearly 30 shows and events around the world, including New York City, Shanghai, Athens, Amsterdam, Riga, Cardiff, Hong Kong, Leeds and London. In collaboration with its academic partners, Lumen advances the understanding of digital art at seminars, artist talks, workshops and symposiums.